The town of Springfield, ME which is located in northern Penobscot county boasts a population of approximately 409 citizens. Springfield is an old farming community and the signs of old homesteads can often be found in the forests that have reclaimed many of the once cleared farm fields. The forests around Springfield and the surrounding communities are working forests producing timber for area woods products manufacturers. 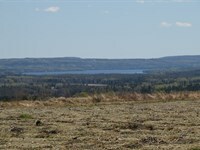 The young regrowth from this harvesting provides excellent habitat for whitetail deer, moose, hares and grouse. Outdoor pursuits are readily enjoyed by the inhabitants of the area. 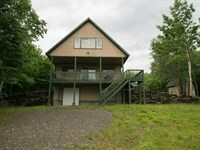 Hunting, fishing, hiking, boating, atv riding and snowsledding are all very popular. 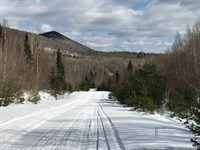 The logging roads throughout the area provide a base for an extensive ATV trail system in the spring, summer and fall. In the winter many of these same trails become groomed snowmobile highways. The nearby Grand Lake chain of lakes in Lakeville, as well as the streams that feed these waters, provide numerous angling opportunities year-round. 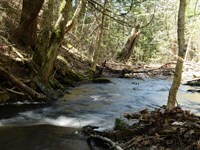 The cold clear waters of this area provide excellent habitat for salmon, brook trout and lake trout. Spaulding Brook and Lombard Lake provide fishing opportunities right from the property for white perch and brook trout. 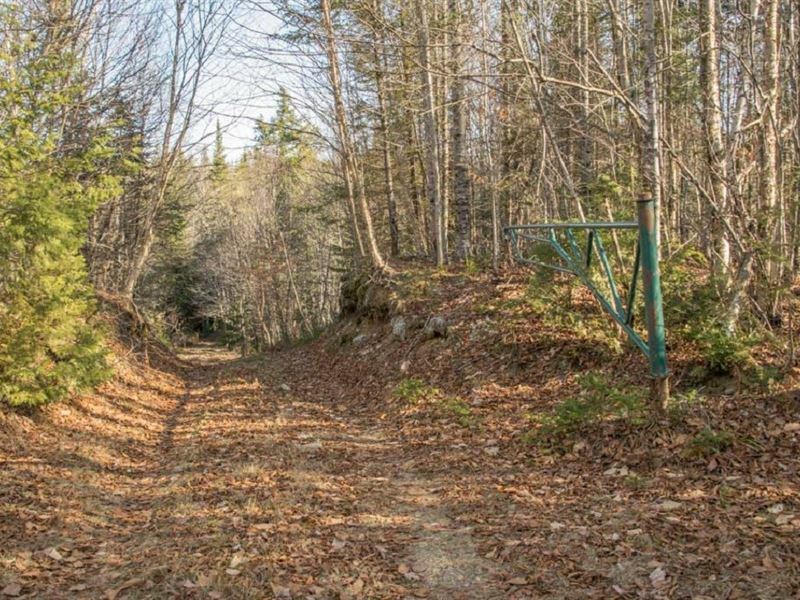 Spaulding Brook Preserve consists of a 576+- square foot camp built on the hillside above the clear waters of Spaulding Brook on a 117+- acre parcel of mixed wood forest land. The woods are full of small and large game. Grouse, snowshoe hare, deer moose and more are found here. A wood shed, storage building and a privy round out the improvements to the recreational retreat. 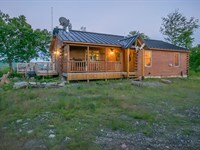 The cabin has a wood stove as well as a propane heater to keep the cold at bay during fall hunting excursions and early Spring fishing trips. 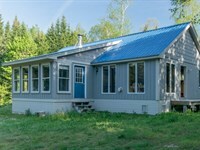 The property is very private being 4.5 miles from Route 6 at the end of a seasonal gravel road. 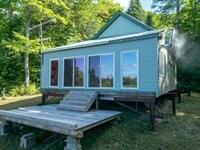 This is an excellent opportunity to acquire a recreational property at a great price. Call today and set up a personal viewing of Spaulding Brook Preserve. 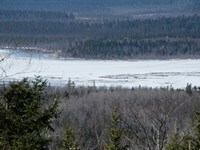 Nearly a mile of interior gravel roads provide access to the cabin, brook, timberland and nearby Lombard Lake. There is approximately 1800 feet of frontage on Spaulding Brook as it meanders through the property and empties into Lombard Lake. A private boat launch into Lombard Lake can be found at the inlet to Lombard Lake. The acreage was last harvested over 30 years ago. A large clearing with a few apple trees is frequently visited by whitetail deer is just short walk from the cabin.